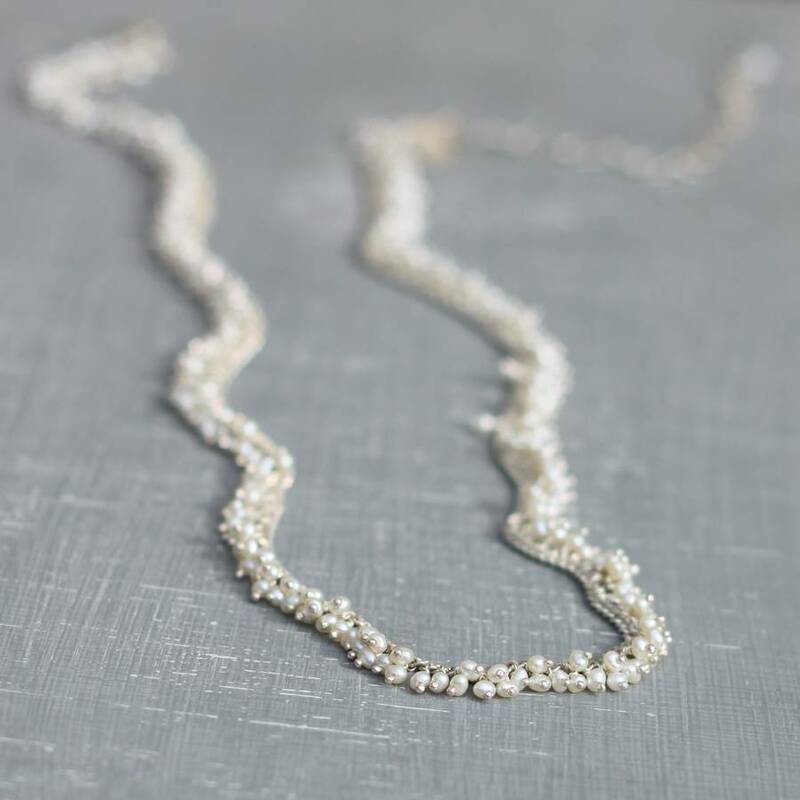 A delicate pearl and silver chain necklace. 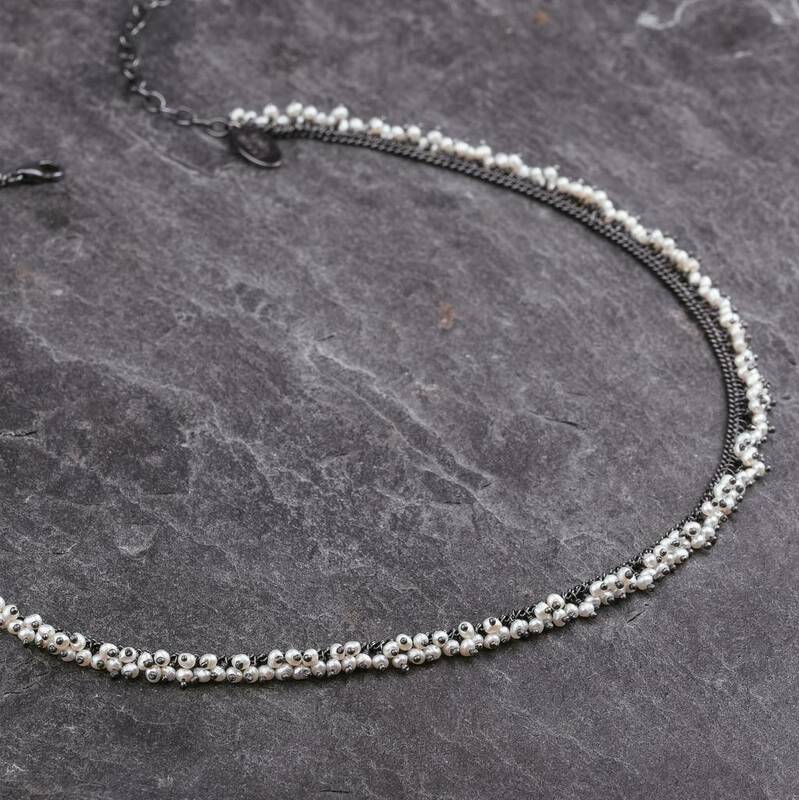 A fine line of tiny seed pearls are pinned the entire length of this silver curb chain - a chic alternative to a simple chain. 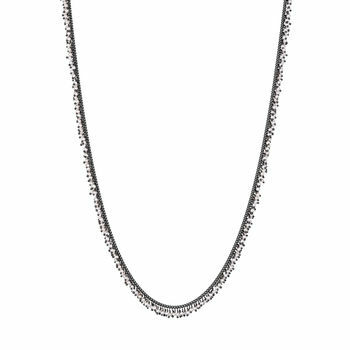 Wear it alone for a minimalist, feminine look, or layer it with other necklaces. Closes with a lobster clasp and oval extension chain finished with a single pearl. Available in satin-finished silver or an oxidised (blackened) finish to contrast with the white pearls. 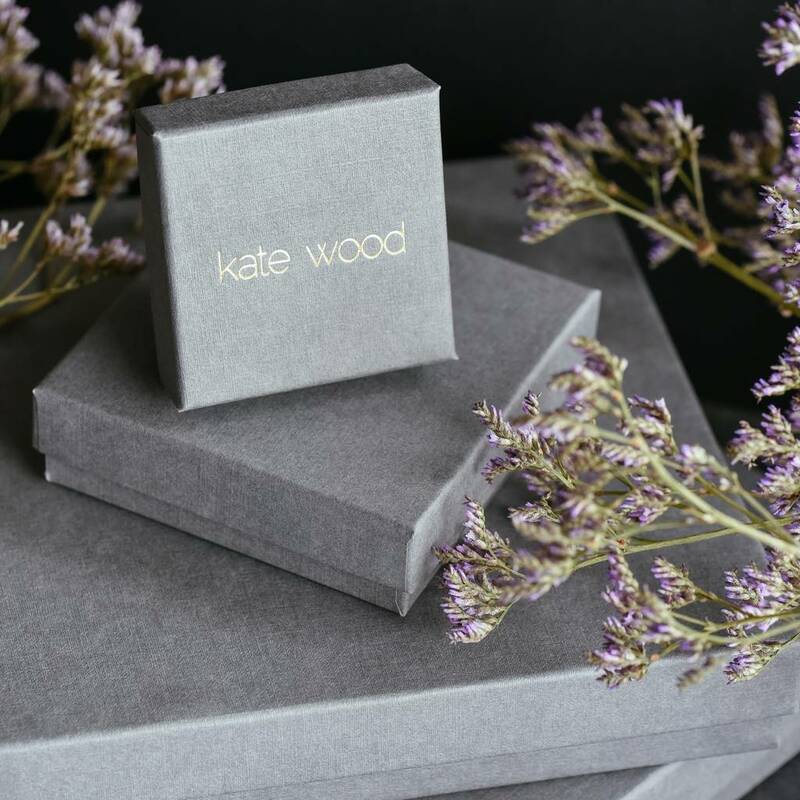 All Kate Wood jewellery is crafted by hand in Kate's Bristol studio and comes beautifully packaged in a branded box. 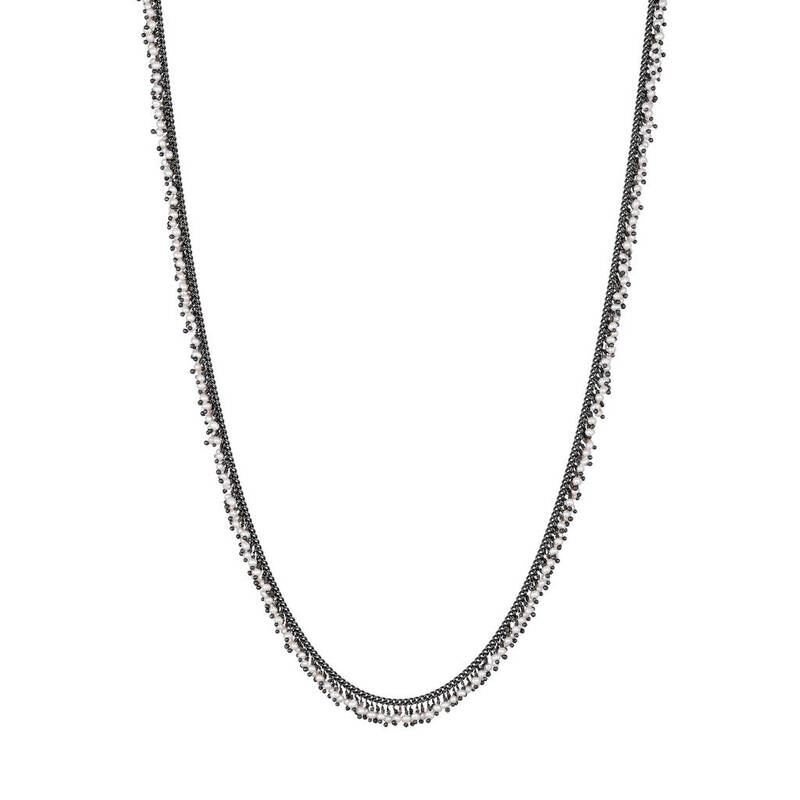 Sterling silver chain in a satin or oxidised finish, with tiny seed pearls. 2mm pearls, chain length adjusts from 40cm to 48cm. All UK orders are sent by Royal Mail Signed For or Special Delivery. The parcel will need to be signed for. International orders are sent by Royal Mail International Signed For, or DPD.